This is not an April Fools joke but a delicious dessert cocktail. I have to be honest, hollow, chocolate Easter bunnies might be the devil’s worst idea yet. 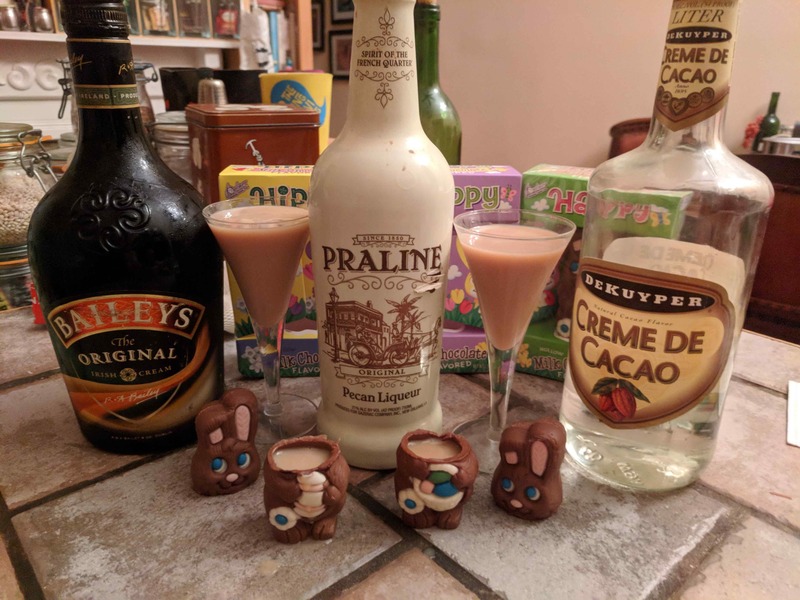 What can make them palatable, however, is to rip their little bunny heads off and fill them with a creamy, nutty chocolate libation. Add ice to a mixer and add all three ingredients. Shake well to chill and then strain into hollow Easter bunnies. Sip or drink it like a shot. Munch the bunny head and eat the body when empty. 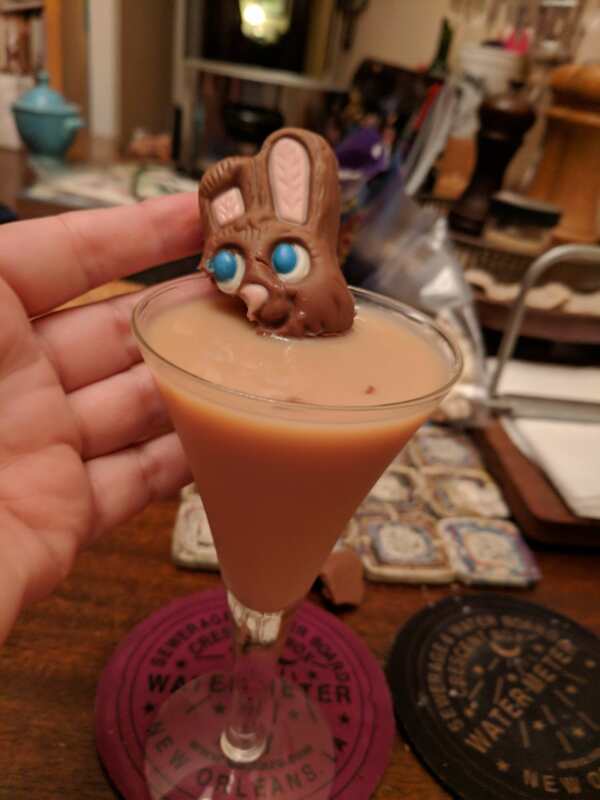 Cute lil bunny head in a glass!